Lunettes de soleil en pharmacie : lunettes solaires Horizane, la protection totale pour vos yeux. 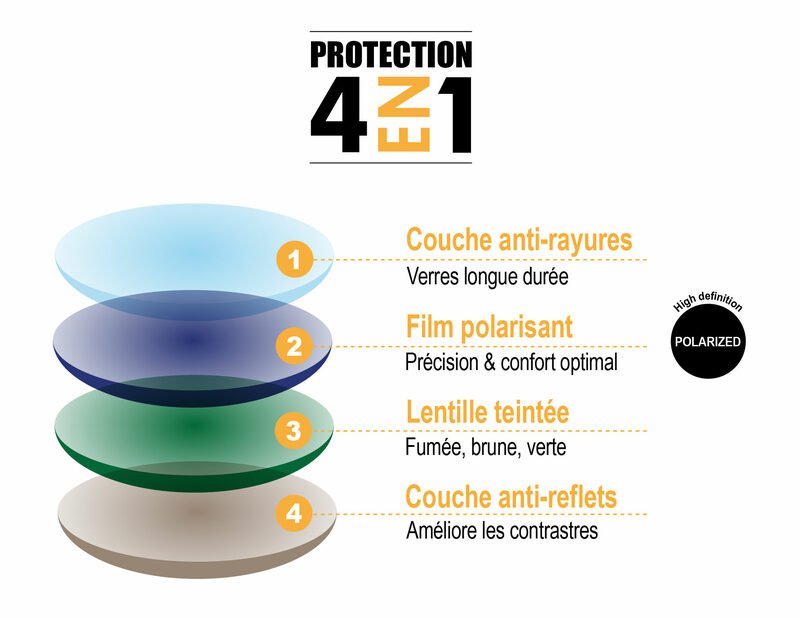 Horizane sunglasses: available in pharmacies, complete protection from UV, trendy and of optimum quality. Horizane sunglasses: trendy and qualitative sunglasses for the whole family, CE certified and available in pharmacies. Horizane has been active on the optical field since it was founded and decided to develop a collection of sunglasses for adults and kids along its reading glasses collection. Its modern and attractive collection steps out thanks to the quality of its lenses, frames and finishes but also thanks to the wide choice of frames and lenses customers of pharmacies can choose from. Horizane sunglasses: optical quality is our commitment.Lenses, frames and top quality finishes for your visual comfort. Sunglasses available at an affordable price do not necessarily mean cheap quality! At Horizane, we do take great care of the selection of our sunglasses, available in pharmacies. Proud of our optical experience since 1995, we commit ourselves to offer our customers spotless quality lenses and frames. Horizane sunglasses frames go under a careful selection for the quality of their materials. We do use materials that combine strength, lightness and comfort. · Top quality materials: acetate, polycarbonate. · Aluminium molds for a perfect continuity between frames and temples. The lenses are perfectly held. · Double polishing for a perfectly smooth surface. · Double anchor hinges for increased quality as the temples do not twist. · Unscrewable screws: temples and frame firmly stay together. · “Horizane” logo marked on the structure of the sunglasses. · Double varnish for better durability. Polarized ultra-protective solar lenses, the sunglasses “must”. Horizane solar lenses are made of polycarbonate which is a material well known for its lightness and great resistance to shocks. Anti-scratch layer: the anti-scratch layer improves resistance to scratches and rubbing. Very resistant and strong, Horizane solar lenses last longer than classic lenses and offer a much better vision. Polarizing film: polarizing lenses on sunglasses stop rays of light reflected by the environment such as sand, ground, windshield, sea, snow, etc. They offer a maximum visual comfort. Colored lens: solar lenses are colored in Brown, Green or smoked. Anti-reflection layer: transparency, comfort, aesthetic are all the benefits the different treatments made on the lenses bring. The anti-reflection treatment gets rid of annoying and mirror effects and increases contrasts. As an efficient protection against UV rays, polarizing lenses prevent the person wearing the sunglasses to be dazzled by light reflection. Horizane sunglasses provide a much better visual comfort than traditional sunglasses. The effect of polarized lenses is immediate: colors are brighter and contrasts are increased. Eyes are less impacted. Major plus: vision is clearer and the person wearing the sunglasses see with great precision depth and landforms. Horizane sunglasses with polarizing lenses are totally compatible with driving. Outside activities in general, water sports and fishing most particularly, are more enjoyable with solar lenses equipped with a polarizing film. When in town, Horizane solar lenses provide the person wearing the sunglasses with perfect visual comfort and priceless security in a busy environment. Horizane sunglasses: a fashion “must have”! Sunglasses have become a real fashion « must have » adapting to new trends. Like any fashion item, sunglasses are showing off, standing out and putting the light on the person who is wearing them. Horizane renews its sunglasses collection every year so everyone can find the proper model that will perfectly match his/her style and personality. You are in! Different shapes (old style round frames, square or XXL frames, etc. ), mix of materials, inlay of metal parts, laser finish: there will always be a pair of Horizane sunglasses that will match your style! Horizane sunglasses: you will not know what to choose! Horizane sunglasses for kids : Maximum protection for our babies and kids eye safety. Babies and kids’ eyes are much more sensitive than adults’. Indeed, kids have a wider pupil and an iris much less pigmented than those of adults. 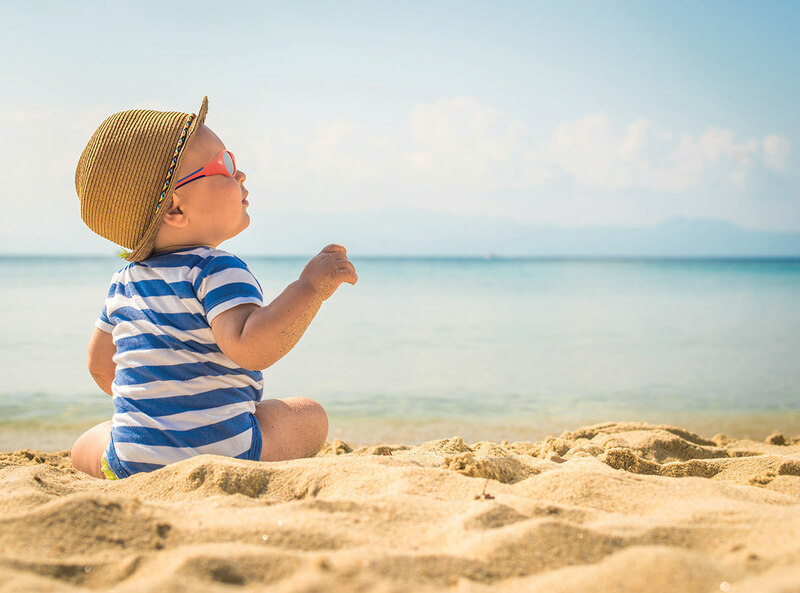 It is important to know that before the age of 1, 90% of the UVA and more than 50% of the UVB gets to babies’ retina. Between 1 to 12 years old, 60% of UVA and 25% of UVB are not filtered. 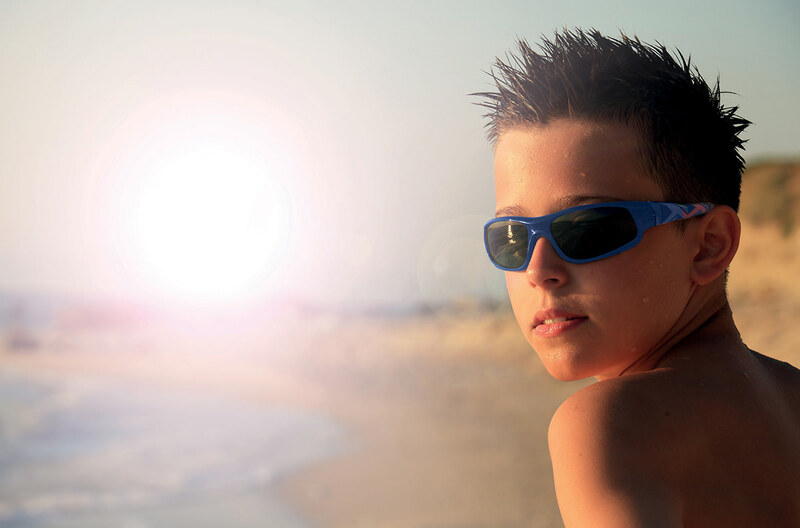 The sight is an essential element for a kid to grow up so it is fundamental to protect them with adapted sunglasses. In order to answer that special need, Horizane developped a collection of sunglasses for babies and kids. Category 4 maximum protection + 100% UV filter. Soft frames for optimum comfort and safety : no more pinches when opening and closing the temples ! Unbreakable polycarbonate lenses : they will resist the constant agitation of our kids! 0-12 months: sunglasses for babies with temples and adjustable headband, in a bottle-shaped case. 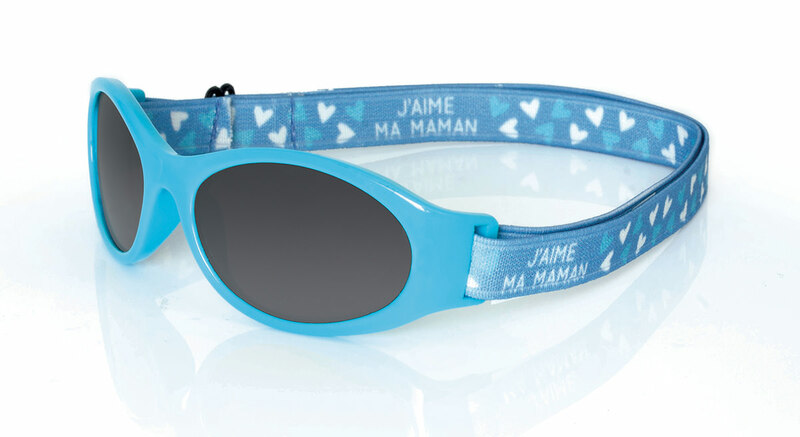 12-24 months: sunglasses for babies with temples and adjustable headband, in a bottle-shaped case. 2-8 years old: ultra soft and colorful sunglasses handed in a « jungle » case. 8-12 years old: ultra soft and colorful sunglasses handed in a soft case. Beyond eye protection which is excellent, Horizane sunglasses for babies and kids are original and fun, which is essential for our kids to wear them! In order to match their expectations, Horizane has developped colorful sunglasses with funny details so that kids love to have them on! Each pair of Horizane sunglasses is handed in a colorful and fun case to protect them over the time. Like the adults’ sunglasses collection, babies and kids’ sunglasses collection is renewed every year thus offering novelties and originality to every sunglasses user.